The Aam Aadmi Party (AAP) today lashed out at Prime Minister Narendra Modi and the Bharatiya Janata party (BJP) over the arrest of Delhi Chief Minister Arvind Kejriwal's Principal Secretary Rajendra Kumar. The AAP alleged that the saffron party move to take 'revenge' shows its political bankruptcy and insanity. "The way Prime Minister Narendra Modi and the BJP is trying to take revenge shows political bankruptcy and insanity. 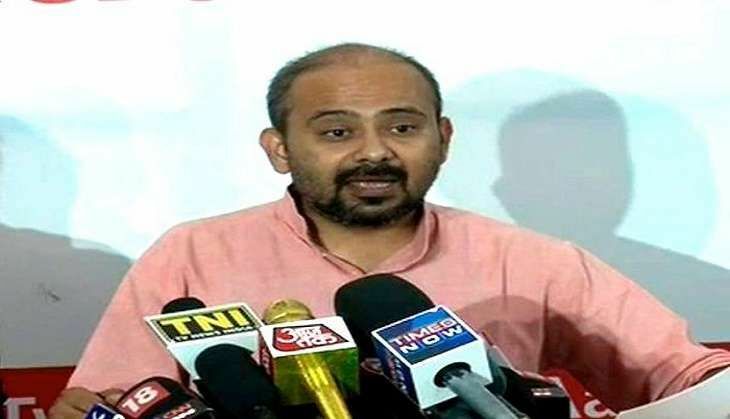 We would like to again tell the Prime Minister that the Aam Aadmi Party won't be scared of the police, the CBI and the ACB," said AAP leader Dilip Pandey. Taking a jibe at the BJP, the AAP leader said it was very funny how the party which was carrying out a national talent hunt on corruption during the election is now trying to enlighten on this. "During Sheila Dikshit's regime, tanker scam took place and till now she is not being summoned. It is because she has made a clear indication that if you take my name, I will take the name of the Bharatiya Janata Party. So, the relation between them on corruption is very good," he added. Escalating his attack on the Prime Minister, Pandey said without any guidelines, the Ministry of Home Affairs transferred 11 officers and arrested the Principal Secretary and the Additional Secretary. "You are clearly indicating that you have waged a war against the Delhi Government. The war has been waged because the Prime Minister can see the AAP's majority in Goa, Punjab and Gujarat. This is the reason of his restlessness and fear," he added. The Central Bureau of Investigation (CBI) earlier today sought 10-day police custody of Rajendra Kumar and four others in connection with a corruption case to the tune of Rs 50 crore. Producing Kumar and other co-accused before the Patiala House Court, the CBI informed that the Principal Secretary was not cooperating during the interrogation. The investigating agency further said their custody was needed to investigate the money trail. Kumar and others were arrested by the CBI yesterday evening. According to CBI sources, Kumar has been charged with abusing his official position to award contracts to M/s Endeavour Systems Pvt. Ltd. and securing government tenders worth Rs. 9.5 crore between 2007 and 2014 for the company. CBI sources said Kumar emerged as the kingpin of the Rs 50 crore scam, which first started activity in 2006. The CBI had in December last raided Kumar's office at the Delhi Secretariat in this connection. Kumar had moved an appeal before a special court in March this year seeking the release of his laptop, iPad and cash seized by the CBI. A trial court had in April also ordered the de-freezing of two bank accounts of M/s Endeavour Systems Pvt. Ltd. The Delhi High Court had then stayed the trial court's order allowing for de-freezing of accounts of M/s Endeavour Systems Pvt. Ltd. Cabinet reshuffle: has Prakash Javadekar been promoted at the cost of Piyush Goyal?